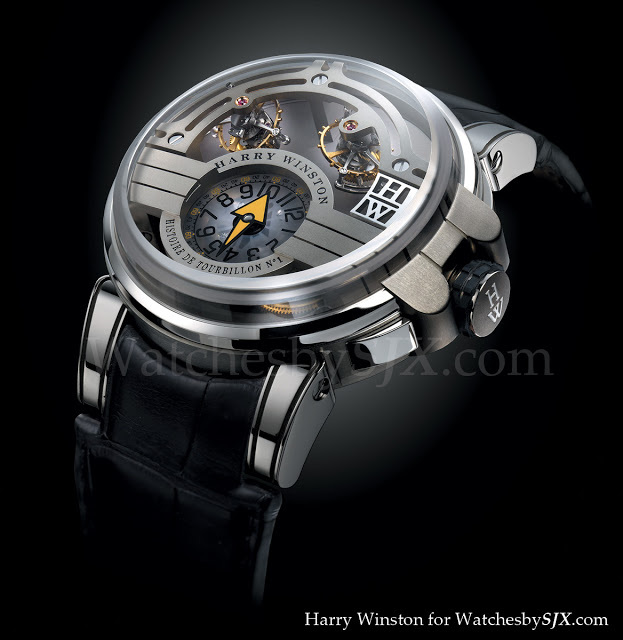 Here is a preview of the remarkable looking Histoire de Tourbillon 3 Harry Winston will present at Baselworld 2012 in March. It has one double axis tourbillon at nine o’clock with one cage rotating once every 40 seconds and the other every 120 seconds. The second tourbillon tourbillon at six o’clock makes one revolution every 36 seconds, which HW says is most effective in the vertical position. 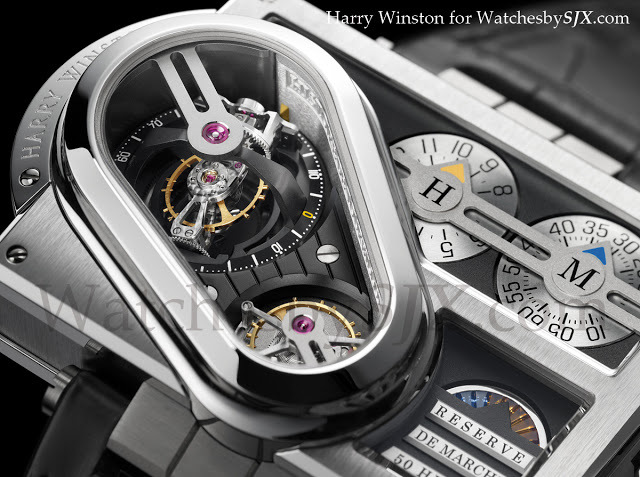 Both tourbillons are linked by a differential, similar to the Greubel Forsey Invention Piece 2. 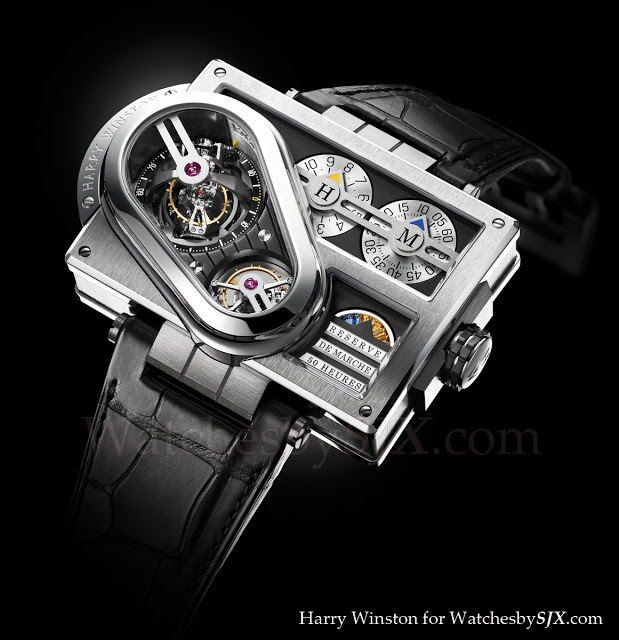 Harry Winston doesn’t reveal who made the movement but it is surely Greubel Forsey, or more specifically Complitime, the sister company of Greubel Forsey that does movement development for other firms. Complitime also developed the earlier two Histoire de Tourbillon watches, which is Harry Winston’s series of exceptional tourbillons. On the other hand, Opus is independent watchmaking with avant garde time display, just like the Opus 11. The previous two Histoire de Tourbillon watches were already incredibly large, heavy and expensive, but this one takes the cake. The rectangular Histoire de Tourbillon 3 case, which is in white gold with a Zalium case band, is a mind boggling 65 mm by 45.9 mm.